Calgary, Alberta Sept 8, 2015: WAVV Enhanced Business Development Solutions has launched a new event titled ConvergX, which will be taking place on February 9-11 at the Westin Calgary. This event, the first of its kind in the world, is being touted as a place “where industry lines disappear.” ConvergX will offer a first-ever opportunity for both industries to discuss and share innovative practices related to technology. With an anticipated audience of over two hundred attendees and a first-class speaker line-up, the event will provide a powerful forum for peer-to-peer networking and interaction. ConvergX will be an opportunity for companies to learn from each other, enhance their current business practices and create new business opportunities. There will also be an award component to recognize the best innovation and performance within these dynamic industries. ConvergX is a two day program that will create dialog between two major industries, poised for growth. These industries face similar market demands and pressures; the oil and gas industry, along with the aerospace, defence and security industries, have a shared need for expansion, growth and diversification. The event’s content and themes, as well as its award nominations and judgment, are being determined by a steering committee comprised of members from both industries. 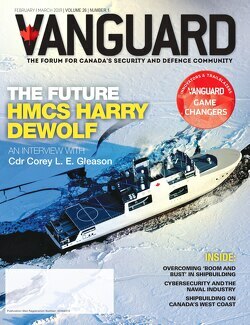 Event partners for ConvergX include Vanguard media. Organizers anticipate vendor and media sponsorship from established industry players as well as emerging companies looking to present their business solutions. The world’s first-ever event serving both the defence, oil and gas industries. ConvergX will feature networking opportunities with industry experts and speakers as well as industry recognition and awards. Enhancing your business through adjacent markets and strategic solutions. WaVV specializes in business expansion, improvement and development for clients in the Aerospace, Defence, Security and Oil and Gas sector.